William Grant & Sons, Aerstone. 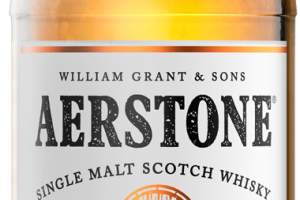 Family distiller, William Grant & Sons and the 10 year old single malt Scotch whisky, Aerstone. Where is it distilled and matured? How different is it to Fiddich and any other of their brands? Have you seen it anywhere? Here are my own views on this newcomer to the shelves, trying to ask what a normal whisky lover, like myself would ask … welcome to the confused whisky wee folk. The marketing says; The brand focusses on the impact of maturation and malting on flavour and is available in two expressions. This new range aims to simplify the taste messaging in the single malt category and help new single malt drinkers navigate the flavours of the category easily through clear taste descriptors on pack, allowing consumers to easily understand the spectrum of flavours and demystify the traditional – and often complex – language associated with the category. WHAT? IS THAT CLEAR AS MUD TO YOU TOO? TOO MANY BIG WORDS HERE, AUTHOR HAS OBVIOUSLY BEEN ON THE ALPHABET SOUP. Can ONLY new single malt drinkers have this? Sea Cask, described as ‘smooth and easy’, is a classic Speyside-style single malt with nutty vanilla notes. Not vanilla again guys! This whisky develops its character from the time spent aging in warehouses located close to the sea on the Ayrshire coast, giving the whisky a subtle salty note on the finish. Surely the casks are not left out for the sea to wash over them? How do they substantiate that statement? Land Cask is described as ‘rich and smoky’ a peated single malt heroing (????) the use of highland peat in the malting. This whisky’s flavours are developed in warehouses located further inland, allowing the smoky notes to shine through. Really? 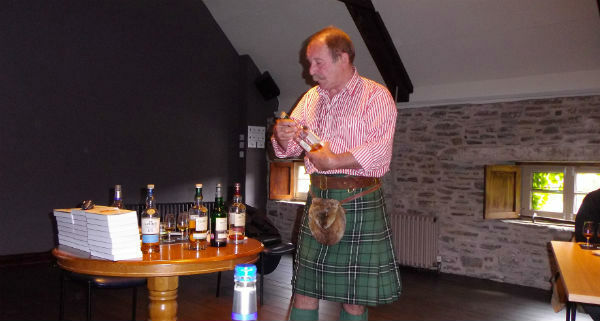 So why are all (most) peaty whiskies on the coast/islands? Sean Wiemann said: ‘We wanted to create a brand that would allow consumers to make a confident choice and offer a great everyday single malt to complement the rest of our premium portfolio. We recognise that for some consumers, the category is complex and can be intimidating. With Aerstone we want to break down some of those barriers and help simplify single malts, inviting existing malt drinkers and new entrants to learn about all the different flavours and styles of single malt Scotch.’ TRADE JARGON FOR – BUY OUR WHISKY. The packaging aims to help consumers understand what each whisky might taste like without focussing on the more typical – and often ambiguous – whisky analogies for flavour. Oh God here we go again with complicated chat … Neil Barker, MD at William Grant & Sons UK: ‘Our consumer research has shown that an accessible single malt is set to be a great addition to both the category and our portfolio. Aerstone perfectly complements people’s increasing interest in hyper-localism, identified in our 2018 Market Report.’ ER, NEIL, DO YOU MEAN BY THAT STATEMENT, GLENFIDDICH, GRANTS BLENDS AND BALVENIE ARE NOT EASILY ACCESSIBLE? Aerstone will initially launch in Tesco. I HAVE NOT SEEN IT YET, AND I AM IN TESCO EVERY WEEK HERE IN PERTH, WHERER WE HAVE 3 OF THE TESCO’S. It is now my aim to track one of these bottles down, open it and see what gives. In future W Grant, please make things easy for us to comprehend, nae jargon to confuse wee souls like myself. How about just saying; Here is a new whisky we have launched, it’s really quite good, easy to drink and please buy lots of it.